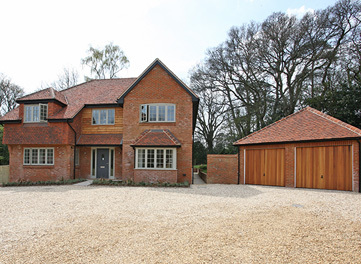 Bourne Homes are house builders in the Home Counties specialising in providing our clients with quality housing, with designs and superior construction to suit each individual location. Established 20 years ago, we are family-run housebuilders, with a strong reputation for building high quality houses. We are committed to ensuring the process of buying one of our homes is a smooth and trouble-free experience with our high levels of customer service. Luxury 5 bedroom house, set back from the road, located in south Farnham. Please click here & register to view the showhome. Luxury 4 bedroom house, with stunning open plan kitchen in Tongham. An exclusive collection of 5 three & four bedroom houses in a desirable area. Showhome available to view upon request. We believe in the responsibility to care and protect the environment. We comply with all legislation, regulations and standards. We identify the environmental implications of our building processes and establish methods of measuring them. From recyclable materials to preserving existing flora and fauna wherever possible, we aim to provide sustainable solutions with our energy efficient construction methods. 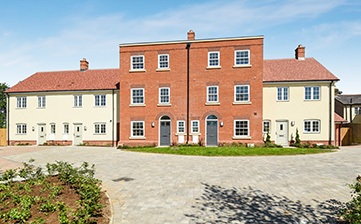 Current home building projects with Bourne Homes include 3 and 4 bedroom properties at Railway Place, Whitchurch and a 4 bedroom property in Storrington, West Sussex. "...the service pre and post completion has been great. Our requests have all been addressed without debate, no matter how big or small. 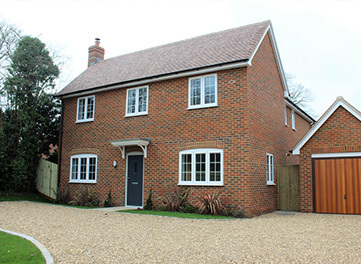 The property has been designed intelligently and built and fitted to a very high standard..."
Bourne Homes are house builders based in Surrey. We are proud to create high quality, energy efficient homes, that are beautifully designed. Our philosophy is one of detail, from initial plans to final touches. We aim to provide sustainable solutions with our energy efficient construction methods. Managing Director, Andrew Kamm, has a very hands on approach, carefully selecting and acquiring sites. Along with co-founder, Tanya Kamm, they are the management team behind Bourne Homes.